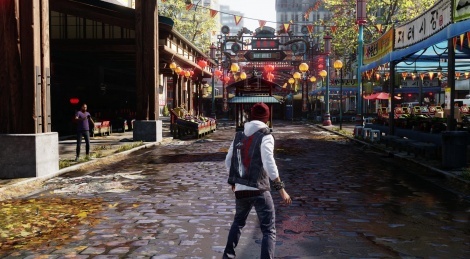 Sony didn't forget to enhance inFamous: Second Son thanks to the added power of the Playstation 4. Two modes are available, one focusing on resolution and the other proposinh a higher and steadier framerate. The proof of the pudding is in the watching, inside. ps4 pro 4k video are not supported in lg oleds with usb flash !! !this is veryyy baddd! The higher framerate version is the best looking game related thing I have ever seen in motion. Amazing! 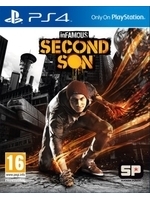 I am not saying that Infamous is the best looking game. I am just saying that this vid is the best looking one I have seen. This is maybe thanks to the image quality here which is better than stuff like youtube. Ive been playing First Light all day and while it is a decent game with nice visuals, on the Pro, I dont think its the best graphics showcase for the system. The bokeh effect ruins the gains, in my opinion. Because you can only see so far in front of your character. The best showcase of visuals on the Pro, so far, is Hitman. Not only did IO do 1800p with the upscale to 4K, they added higher resolution textures, lighting, shadows and extended the draw distance. In my opinion, it looks better and more realistic than Uncharted 4. I truly believe it is the game that Sony should be pushing to sell the system. It looks that good. Weirdly everyone else seems to be saying hitmans updates are so subtle they may as well not even be there. And that the IQ has actually gotten worse (blurrier) on the pro. When I hear stories like this I can't help but think that the PS4 Pro is secretly best utilised by 1080p screen users and I mean 1080p monitors not those 50" monstrosities with horrendous pixel density. I have a 28" screen and excluding HDR I'm wondering if it's even worth upgrading my screen to a 4k one as supersampling and the fact that most games arent even close to native 4k doesnt provide a strong argument for it. I have a wierd feeling that for medium size screens 1800p-to-4k downsampled to NATIVE 1080p is better than 1800p-to-4k checkerboarded :). seems to depend entirely on the dev. some aren't even bothering with checkboarding to 4k and opting to just use bare bones upscaling. in which case the results would probably look better on a 1080p screen. but other games utilize it well and noticing it isn't native 4k is nigh on impossible. as with most tech based stuff in gaming, it's all about developer skill level, and their desire to implement stuff and implement it well. one thing i have been curious about though, is that not many of these games are taking advantage of the HDR at all. which some folk consider a bigger deal then the 4k anyway.